Today, I am going to introduce to you the Autel MaxiLink ML529 OBD2 Scanner. Certainly, when it comes to car diagnosis, you want to make sure you are able to save time and money. But most importantly, you want to receive accurate results. To begin this process, you need to find an auto scanner that is the perfect match for you and your vehicle. Autel has a highly reputable position within the world of car diagnostic tools. Recently they have updated a previous tool to improve the features and functions. In order to shorten the diagnostic time and make car diagnosis less of a hassle, this device s equipped with easy-to-use features and functions. So, what are these advanced features and how do they compare to other devices? First, let’s take a look at a comparison chart, and then I will explain the many features loaded on this scan tool. 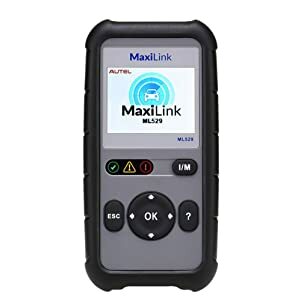 1 What is the Autel Maxilink ML529? 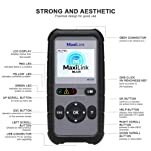 What is the Autel Maxilink ML529? 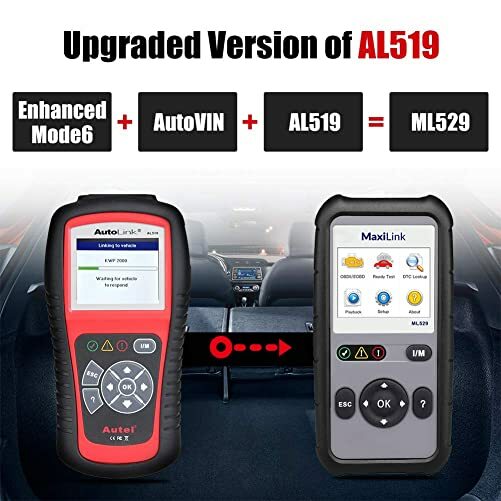 This MaxiLink ML529 OBD2 Scanner from Autel is filled with more functionality than the previous AL519 version. 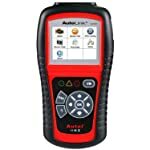 The Autel MaxiLink ML529 is designed with easy-to-use features that help make the diagnostic process easier. The OBD2 scanner is loaded with DTC lookup and definitions for quick results and explanation. That means no more generic, misunderstood codes. Instead, you will have access to a library of codes for information to help get to the source of the problem. Compatible with MAC OS and Windows PC, you can use the USB cable to plug this Code Scanner into any device in order to receive updatable features and bug fixes. Autel MaxiLink ML529 is an updated version of AL519. If you want to share the data from your engine, this device is also compatible with data printing. Which allows the user to view and print any data from the last system test. A sleek design also enhances the look of the Autel MaxiLink ML529 OBD2 Scanner. This scan tool is covered in a protective rubber sleeve so you don’t have to worry about dings. Additional, you can utilize more stored memory space with the paired SD card for the device. Now, installed with Auto-VIN function you will be able to read OBD2 codes as well as pull both engine and transmission manufacturer-specific codes from GM, Chrysler, and Ford vehicles. Since this device is a newly updated version of the AL519 code reader. This device features more advanced code reading with AutoVIN technology. In other words, that means manufacturer specific code readings for accurate results without having to go to the dealershop. This OBD2 scanner will easily read and erase unwanted check engine codes that appear on the dash after a service or repair. That includes stored codes, pending codes or permanent codes. Supports ABS and SRS code reading as well to ensure all airbag and safety features are working together. You can also expect accurate test results because of live data testing modes, Freeze Frame data of the engine, along with I/M Readiness and O2 Sensor Tests. With live data, you will be able to monitor the running components of the engine and use freeze frame technology to screenshot a trouble area. This device also features an enhanced mode 6, which means you can monitor specific types of tests for the components of your vehicle. With mode6 testing, you will be able to determine if everything is working correctly by comparing the vehicle components minimum and maximum values. One-click technology for I/M Readiness will give you instant results to tell you if your vehicle is ready for Emissions tests. This device offers self-tests to ensure the results will help your vehicle pass the State Emissions Test. Additionally, the O2 Sensor Tests can check the amount of Oxygen in the exhaust. Thus you will be able to use the Autel car scanner to better your air-fuel ratio. So now you have read the multitude of features from the Autel MaxiLink ML529. But is it compatible with your vehicle? If you drive a 1996 or newer OBD2 compliant vehicle, you can use this Code Reader to begin diagnosing right away. It supports Asian, European and US made vehicles, from the device you chose your brand and model of vehicle to begin diagnosis. For more specific AutoVIN transmission code reading, this device works well with GM, Chrysler and Ford engines. AutoVIN Reading– Recieve manufacturer specific codes to give you accurate results about the make and model of your vehicle. Enhanced Code Reading– Thanks to AutoVIN technology, the codes you receive will be above and beyond generic code reading. DTC Definitions– with this built-in feature, you will have access to code definitions to determine exactly the cause of the problem. Printing and Sharing Data– This device has data playback which helps you print the results from the last test. Updatable– You can keep your device accurate and current with updates from Autel. Sleek Design– One of th best looking Car Scanners is also loaded with hotkeys to make diagnosis one click away. Enhanced features not for all cars. Users should note that enhanced code readings may only be supported with GM, Ford and Chrysler engines. The Autel MaxiLink ML529 has received high praise from its users, that includes beginner users and expert technicians. 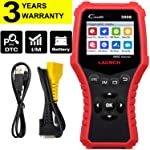 This is a user-friendly device that will make car diagnostics easy for anyone trying to navigate the ins and outs of their vehicle’s engine. For anyone who is looking to save time and money and also avoid the high costs of the dealership. You may have finally found the device you need. If you want a reliable code reading device loaded with enhanced features, look no further than this advanced Code Reader.